NBC mystery Manifest has been renewed for a second season. 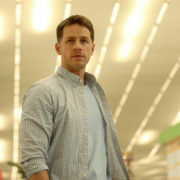 The series stars Josh Dallas, Melissa Roxburgh, and Athena Karkanis. Manifest Review: Another Lost Resurrection?